More than 150 of Iowa’s middle school students have a solution to stabilize city power grids in the event of a national disaster. 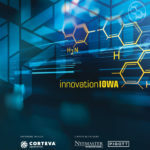 Forty-two teams representing 16 Iowa schools and organizations presented their plans at the Future City Iowa Regional Competition at Prairie Point Middle School in Cedar Rapids on Jan. 26, NewBoCo announced this week. Sandy Point teammates Jaedyn Toman, Merideth Langton and Kathryn Zylstra of Franklin Middle School will represent their team, which won first place at the regional competition, on an all-expense-paid trip to Washington, D.C. this month to compete in the Future City Competition National Finals.